This abaya is Designer Kaftan style abaya which looks so elegant and traditional at the same time. 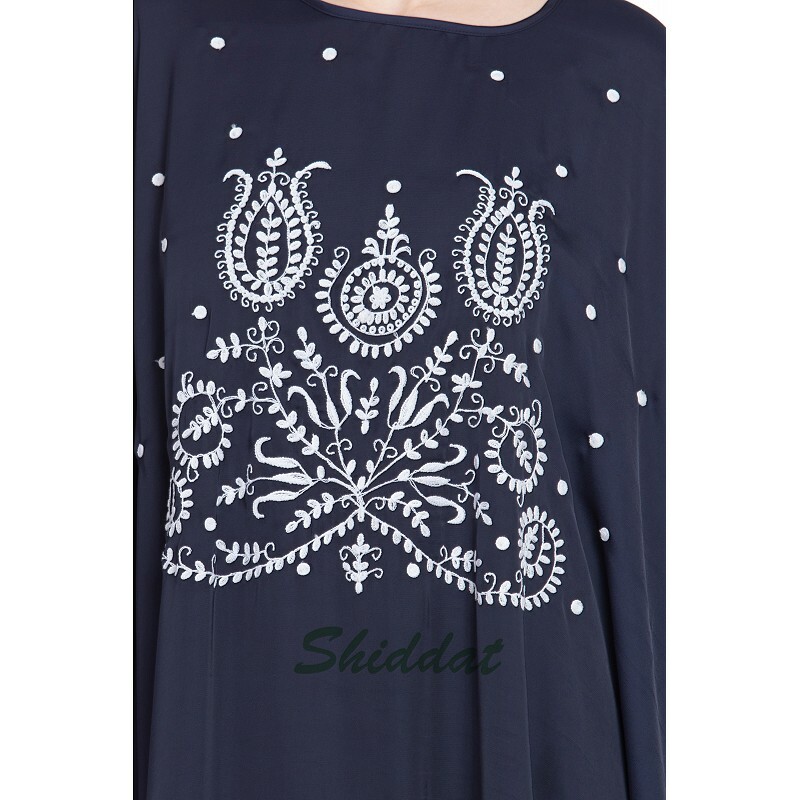 This piece of art is crafted out of premium Nida fabric to look rich. This designer kaftan is perfect for both formal and occasional wear. This kaftan abaya has Contrast Thread embroidered at chest, elbow and 3 motifs around the bottom, Round neck, Zip at the shoulder seam to easy wear, loose and elegant trendy fit.